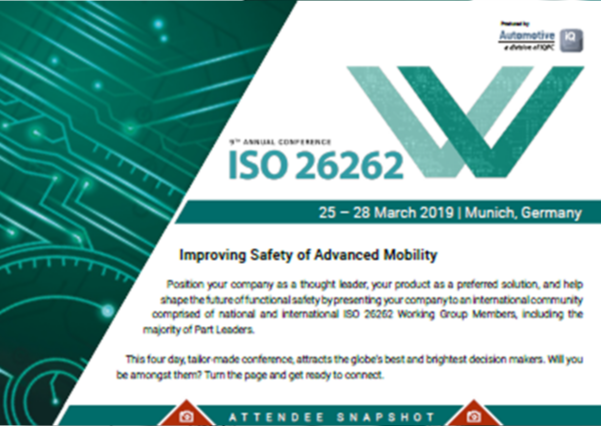 Download the Attendee Snapshot here to learn about who you can expect to meet at the 9th Annual ISO 26262 Conference – Improving Safety of Advanced Mobility. This event is designed and presented by the expertise of national and international members of ISO/TC22, from national to international voting members and ISO 26262 Part Leaders, in a one of a kind four day event. Connect.